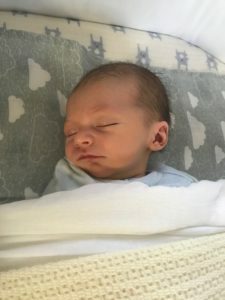 You are here: Home / Testimonials / We had an incredible birth and just so happy with our little son! We had an incredible birth and just so happy with our little son! I downloaded the Baby Come Out track and only got to listen to it once!!! It obviously worked because we welcomed a healthy baby boy on Sunday 30th at 1.52am! Our birth was amazing! I’m just so happy with how everything went, 6 hours total, natural, unmedicated and just an incredible shared effort for James and I. It wasn’t easy given we ended up with a 8pound 12 ounce 55cm baby but I already said I would do it again! Thank-you so much for your training and guidance. I’m so happy we chose to attend Hypnobirthing Australia classes, I’m going to be recommending them to everyone.